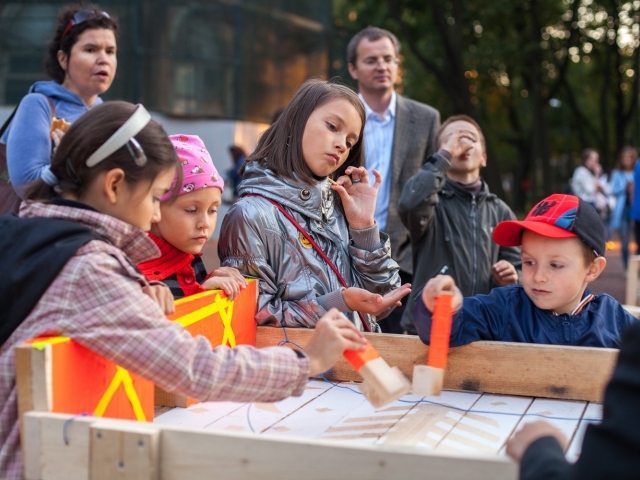 In 2015 the international project “Critical Mass” will be implemented in St. Petersburg by the Creative Association of Curators TOK for the third time. 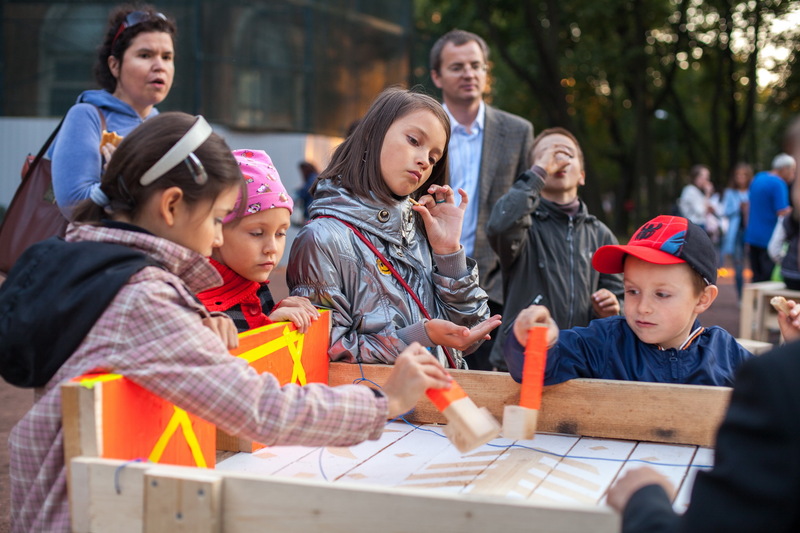 Having started yet in 2010, “Critical Mass” has become the first large-scale art project in St Petersburg based on the principles of research the urban environment, locating problems and potential of various pubic spaces and suggesting scenarios for their revitalization and development within the dialogue between curators, artists, researchers, local communities and governments. This year the main focuses of “Critical Mass” are preservation of historical heritage and studying of collectives and personal memories. 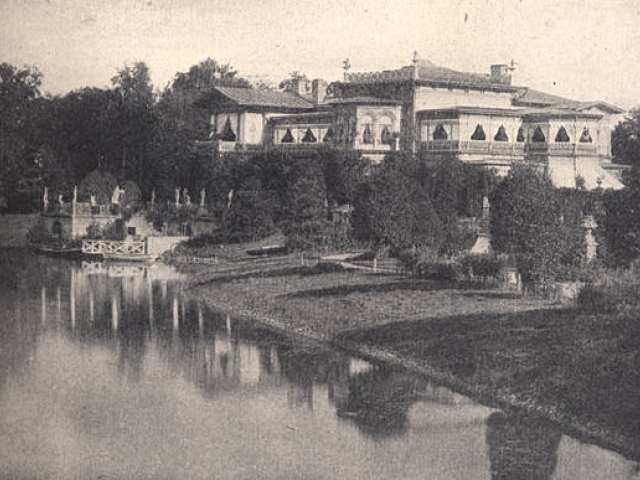 Therefore, the central venue of the project is the Gromov’s dacha, a wooden mansion built in the 19th century, that had been numerously threatened to be demolished, and the Lopukhinskiy garden that surrounds the building. For these unique spot in St Petersburg, the invited artists from Russia, Denmark, the Netherlands, Norway, Finland and Estonia have created projects that appear to be the results of their research conducted over the last year when TOK first stepped into the Gromov’s Dacha. Series of performative, exhibition and educational events will take place in the Lopukhinsky garden from September 4 to October 10. The main role in these events will be given to the community of the Petrogradksiy district of the St Petersburg, where the garden is located. The residents will be actively engaged in design workshops and creating art works together with the artists and performers. Unlike the two previous editions of ‘Critical Mass’, when we were more focused on the result in the form of exhibition of public art, this time we mostly concentrate on the living creative process open for the audience to participate. 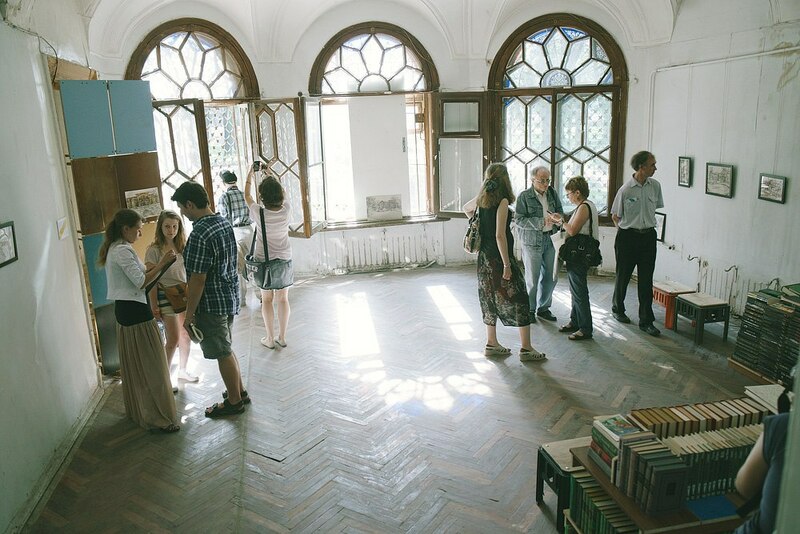 The main goal of TOK this year is to form sustainable social connections within the city and connect different communities in order to create mechanisms of collaboration between cultural institutions, city administration, and citizens for revitalization of unique public spaces using art practices as an effective instrument. The project starts on September 4, when a huge 30-meter long banner will be put on the fence surrounding the garden. 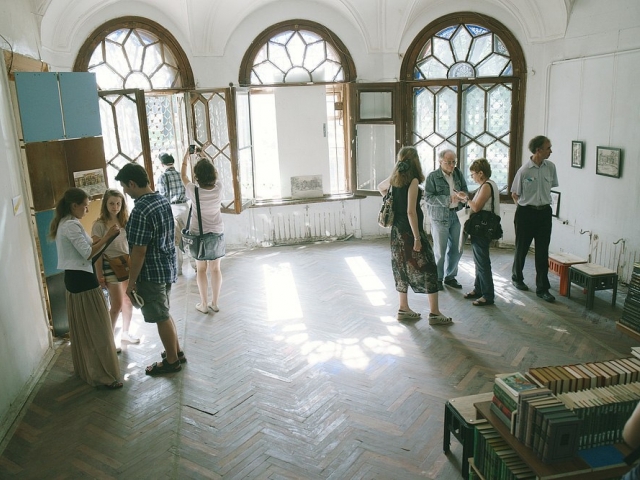 It contains bits of official history of the Gromov’s Dacha that during its life has been a private mansion, a pioneer’s house, the first TV station in the city and even an office building. 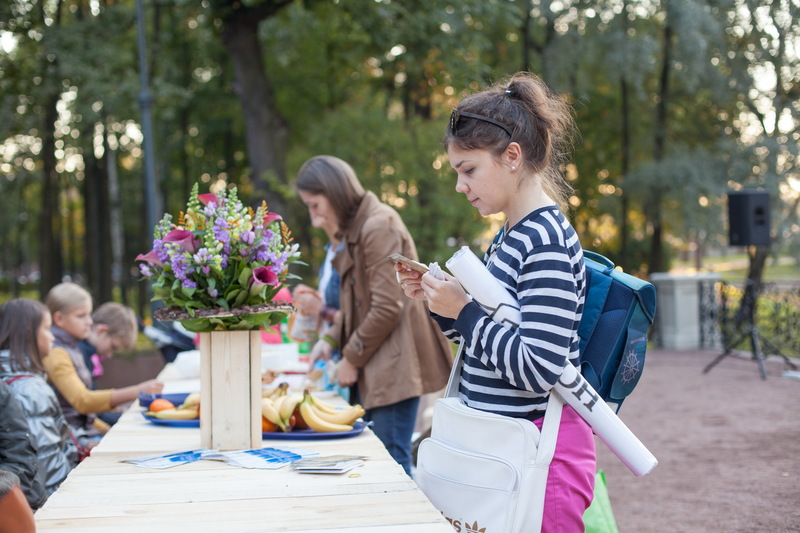 The St Petersburg-based artist Anna Tereshkina will invite local residents to put their own memorable dates on the banner and share their personal stories with the community. People of different ages have a very strong emotional connection with this area so the banner will be a reflection of collective memories and history of several generations. Also, starting from September 4th, the project ‘Public Information About The Complexity Of The Past’ of the artist Silas Emmery (Denmark) will be presented in the garden. This is an installation consisting of five memorial templates pointing to the key events of the Dacha’s history – from the moments when it belonged to a rich Russian manufacturer, to the time of the 2nd World war, when the garden served as military reception center. The stories are set in the past, but are selected with the intent of speaking of the present. They speak especially about the relationship between east and west, and how that has changed over time. By providing the public with easily accessible historical information, the work aims to provoke a reflection about the present – understanding what took place in the past is essential for dreaming about what could happen in the future. If the complexity of the past is understood on a grander scale - maintaining a single sided present becomes more and more difficult. A diverse collective memory is therefore of great importance. The author of the signs is presented as “The Unification And Memory Commission”. The name mimics perhaps the commission traditions of Soviet Russia, but at the same time it speaks of the unification of difference and the importance of memory. Designer Rickert Paauw, together with the open studio for work and creativity "Klass Trudas" will create a temporary structure that will serve as meeting venue for visitors of Lopukhinsky Garden and actors of the "Critical Mass" project, as well as its information unit. The structure resembles the wooden summerhouse which was erected in Lopukhinsky Garden in the early 20th century. Since September 4, the fence surrounding Lopukhinsky Garden will host a banner with the basic historical facts about Gromov Datcha . Artist Anna Tereshkina will offer residents of Petrogradsky district to add their own dates associated with Gromov Datcha and Lopukhinsky Garden. That is how the official history will join the memories of local residents who remember the mansion over the years of its existence. Everyone would also be able to continue the mansion’s line of life, making own proposals for its revival and further utilization. The installation of five memorial signs tells the story of Gromov’s Dacha. Each of them describes the different periods of its history from 19th century to the present time. This work gives viewers the opportunity to feel that they belong to history, and to become part of the political, social and cultural events related to the mansion and the garden as well as to reflect upon past historical events and imagine the future. 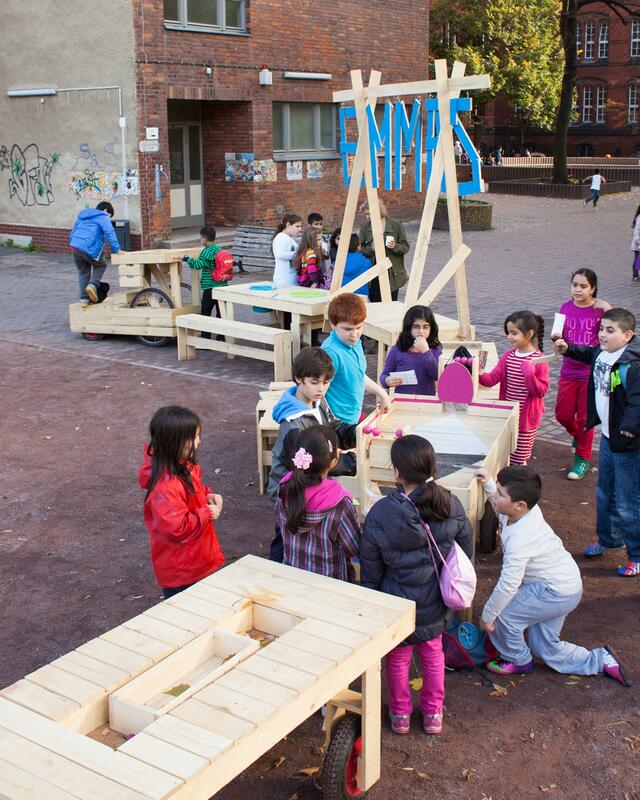 Raumlabor Design Bureau will hold a master class for children and their parents to create urban furniture. 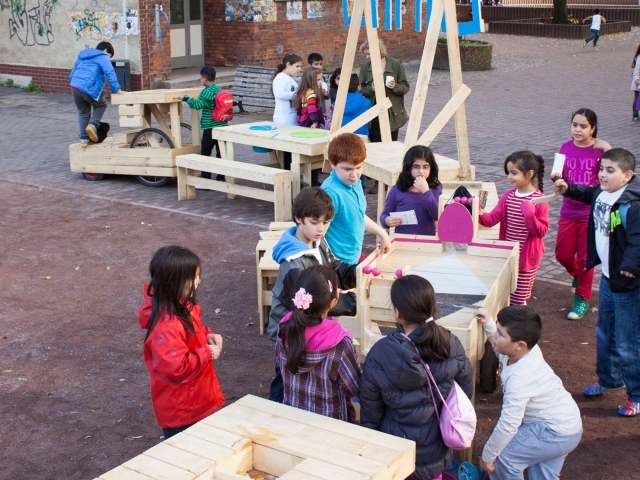 Together they will design and build multi-functional wooden modules that could serve as elements of children's playground, a table for lunching together, a tray for local market place and even a DJ’s benchboard. For more information about registration for a master class please refer to www.tok-spb.org. 11 September, 18.00-21.00, Lopukhinsky Garden. Summing up the results of "Emma" workshop, opening of the summerhouse and outdoor picnic for the Project’s participants, the Garden’s visitors and the community residents. Kalle Hamm presents his project consisting of a series of the historical postcards devoted to the Gromovia pulchella plant named after the mansion’s owner, Vasily Gromov, and the soundtrack based on the audio recording of Gromovia pulchella. Interactive performance of Jamil Kamanger will involve embroidering of the cloth with the image of Gromovia pulchella. September 14 - October 10, Lopukhinsky Garden ‘Uprising’. The planes are made of the old corrugated iron taken from the roof of a wooden house belonging to the artist’s family. Brought from Tallinn, they represent the common history, cultural memory and current geopolitical situation between Russia and Estonia. Videos have been made during removal of iron from the roof in Tallinn in 2014, and it documents the process of the planes’ transportation over the Russian-Estonian border. The performance is based on the stories told to Gluklya by the residents of Petrogradsky district. The artist’s task is to integrate art into daily social situations which she resolves by penetrating into the private space of people and to the field of their memory and emotion. Rope installation and musical performances in the Garden connects private and public, and emphasizes the importance of Gromov Datcha for the lives of local residents. Public discussion of the problems of cultural heritage with participation of the invited experts in the format of a culinary TV show. "We know the history. Episodes"
The performance prepared by graduates of Involved Art School. Seven performance episodes unite the subject of struggle for the history and vision of history as a process implemented through efforts of humans. The situations created by young artists with participation of the audience, will raise the subjects of country life and botanical interests of Vasily Gromov, the blockade theme, Gromov’s Datcha past relating to pioneers, and other issues. "Creative practice as a social agent: the artistic, curator and design projects that promote social change"
The reading will unite both theater actors and a group of non professional actors of the older generation from among the residents of Petrogradsky district, taking part therein. The play is dedicated to the concept of caring for the beloved ones, those we love and family members, as the metaphor of caring for the community and our history.